Despite a seemingly neverending surge in popularity, a new market study shows that the growth of craft beer sales appears to be slowing. According to market research firm IRI worldwide, craft brew sales are so far up only 6.5 percent year-to-date through May 15, down from more than 17 percent gains last year. However, pouring a few certain companies out reveals a different trend. Brewers Association chief economist Bart Watson took to Twitter to point out that if non-Brewers Association companies such as Blue Moon and Shock Top are taken out of the equation, craft growth goes up almost 9 percent. IRI includes them in their numbers, where the Brewers Association does not, given that Blue Moon is owned by Coors and Shock Top by Anheuser. In an interview with drinks site Brewbound, Watson said the big brewery-caused deflation is even more prominent. 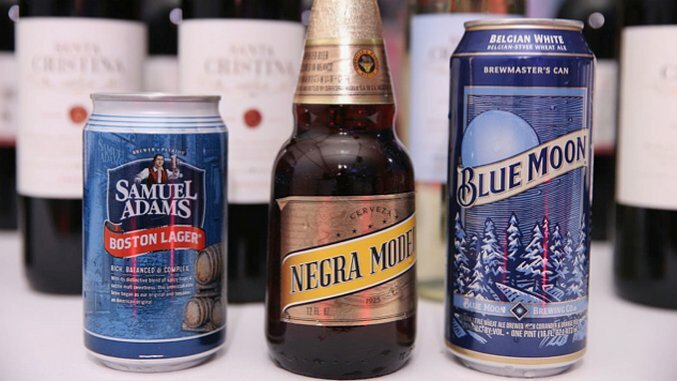 Large craft brewing companies that are do qualify for the Brewers Association definition, such as Yuengling, Boston Beer, New Belgium and Sierra Nevada, are all down a combined 4 percent. This surprising data could point to a shift from consumers drinking larger regional breweries and focusing more on their smaller locals. Conversely, as Watson tweets, Brewers Association-certified craft is actually up 10.4 percent in IRI’s scan of the industry. So in summary, smaller craft brews are selling fine, while venerable companies such as Sierra Nevada and New Belgium are seeing signs of a troubling future. As you drink in this info, consider revisiting our feature on the future of craft beer.